Limitless creativity at your fingertips. 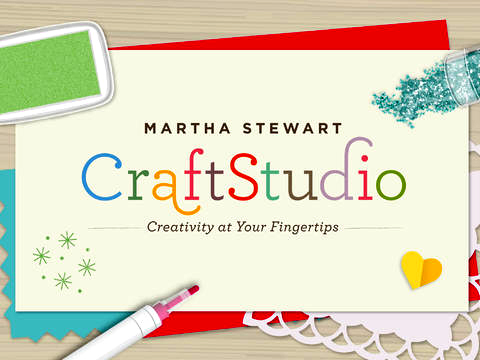 A must-have app that delivers Martha Stewart’s world of paper crafting and design to your iPad. Create, print and share cards using photos, stickers, stamps, glitter and more! Our easy-to-use app allows you to personalize cards, invitations, thank-you notes, scrapbook pages, keepsakes, and more. Browse through an array of colored and patterned “paper” backgrounds, import your own photos, and embellish with an abundance of stickers, stamps, glitter, textured borders, fonts, and punches. Tap to share your works of art with family and friends. So versatile, it’s the only digital crafting tool you’ll need!